Have you heard the one about a Frenchman, an American and a Brit? Yes I have had a little drum tuition along the way. Very on and off over the years. But I'll never forget when I was in my mid-teens, when I first played a basic rock rhythm on a complete drum set! I was so elated, I grinned all the way home. 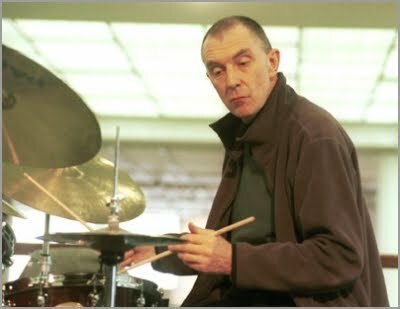 The teacher I was with at that time, was a former BBC Radio Big Band drummer and was not a wippersnapper by any means. He had a big old house with several kits in it and seemed good with novices like me. Sadly I can't remember his name. 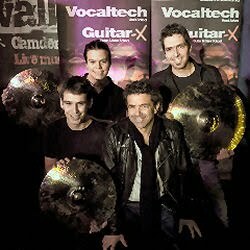 Francis Seriau, founder of Drum Tech, here bottom right of the picture with some of his students. Francis hails from Eastern France. I guess I was with Francis around the mid-80s. The most memorable element of Francis' lessons was holding a stick in one hand and hitting the palm of the other; and then reversing this procedure. Something to do with delicacy of touch - drummers...delicate! One day I overheard Francis talking about this guy Bill, who had only come in for a few sessions, but had made incredible progress. He had practised and concentrated very effectively. Who is this Bill I asked... Bill Bruford came the reply! Joe hails from Rochester, New York. I was with Joe in the late 1980s. Lessons took place in a room above Supreme Drums, Walthamstow, East London. Supreme Drums is solely an online affair now, but still the preserve of the inimitable Lou Dyas. 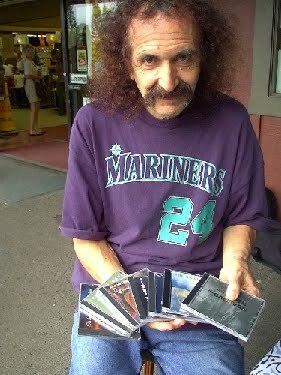 Joe was pretty patient with me and we covered both jazz and rock. I must have improved somewhat with him as after some time with him he told me: "you know, your rock was really sad in the beginning". Well, not least as a graduate geologist, I hope I don't have a sad rock now. Ah the days of schlapping every Saturday over to Richmond from east London, to the Parkshot Leisure Centre. Here a small group of ne'er-do-wells (Paulo, Vartan, Robin and others) would enjoy a group drum lesson with the redoubtable Dave Wickens. Dave was a great player, and he must of felt a little wasted on us, to be honest. After class, we'd head to the refectory, where most often a loose band would fall into place, most often with me on drums. The singing tutor (sorry can't remember his name), was really a pianist, or was it the other way around - not sure. Anyway, for the "gig" he'd always be on piano and was want to say in a slightly brittle, gruff voice: 'right today it's gonna be good, we're all gonna play well', or words to that effect. OK I'm being economical with the truth, as those that were there might point out. With a withering gaze in my general direction, 'he's not gonna speed up' and other encouraging noises were a regular feature. So on to Dave, well I'm pleased to say that he now holds a Professorial Staff role for Drum Kit and Jazz Drums at Trinity College of Music. "Dave Wickins’ approach to drumming is unique. His playing is both spontaneous and disciplined, combining the creativity of free improvisation with strong reference to form and structure. 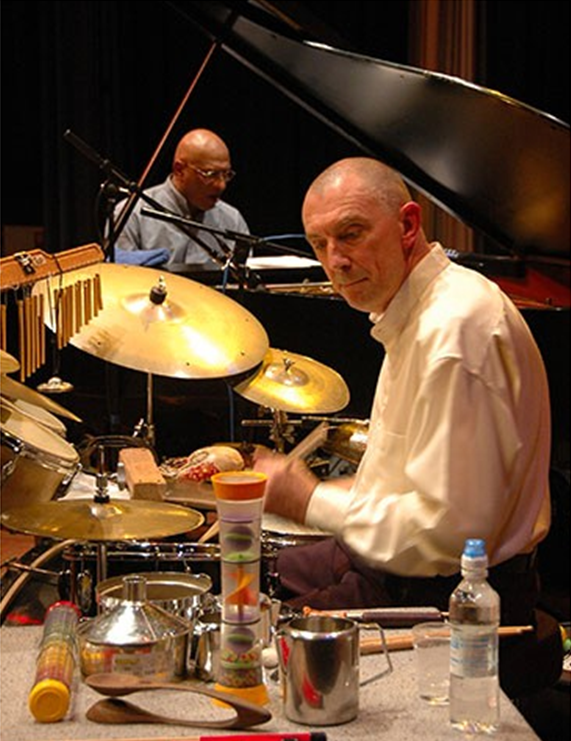 Dave, who originally studied with Philly Joe Jones, plays in Kirk Lightsey’s European trio, with Joe Lee Wilson and with Peter Churchill. He also runs the Glamorgan jazz summer school." I attended Dave's Glamorgan / Welsh jazz summer school one year. It was a really good way to get a lot of playing done in a communal atmosphere. A highlight was that Dave had arranged for Tony Oxley to come and play for the whole school. 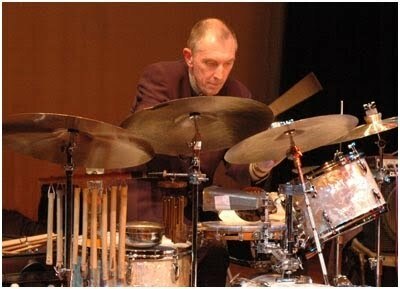 Tony is one of the founders of jazz-based free improvisation in the UK. Blown away doesn't cover it; he's from somewhere else! 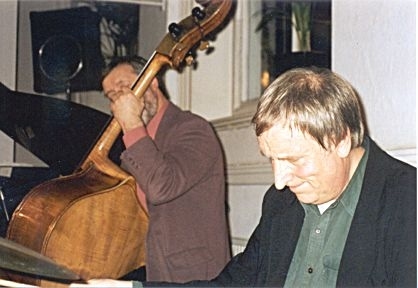 Tony is most famous for being the long-term partner to American pianist Cecil Taylor. Tony spoke at length about how Cecil was like a father to him, giving him free reign and so on. Well another proud British export I guess. On a few occasions at Parkshot Leisure Centre, Dave could not take a class, we had 'Depin', he doesn't half get around, that Depin. Do you ken, a dep in? Ron Parry was his real name and he was a wonderfully down to earth, humble chap and a good drummer. He could tell jokes without trying, possibly partially due to his great Liverpool / NW accent.